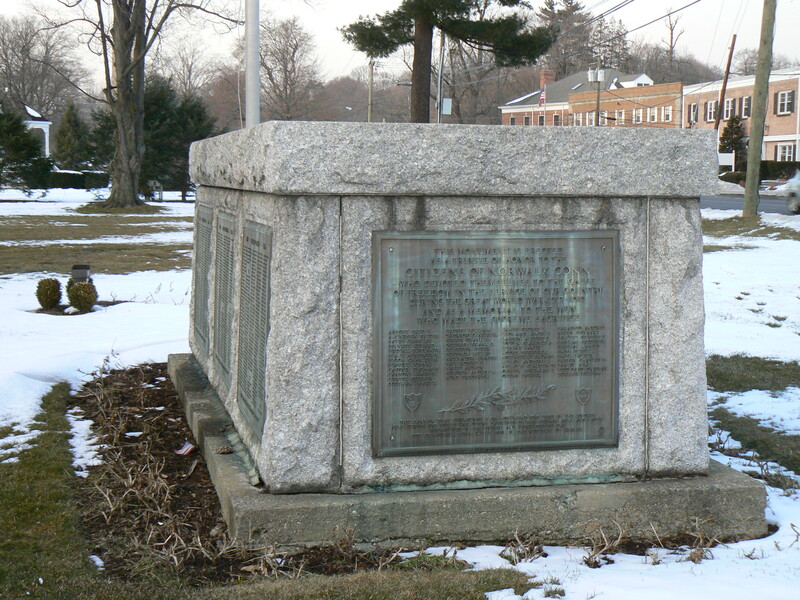 A granite monument to the Norwalk soldiers who fought and died in the first World War sits on the Norwalk Green, near the intersection of East Avenue and Park Street. The monument, first dedicated in 1921, consists of five granite slabs mounted in a rectangular shape. The front (south) face bears the dedication “This monument is erected as a tribute of honor to the citizens of Norwalk, Conn., who devoted themselves to the cause of freedom in the service of our country during the great world war 1917-1919 and as a memorial to the men who made the supreme sacrifice.” Beneath this dedication are the names of 45 residents lost in the war. 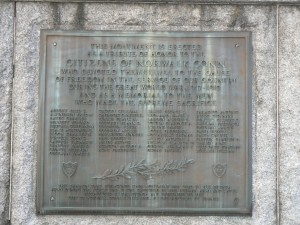 The sides of the monument feature seven bronze plaques bearing an estimated 1,200 names of Norwalk residents who fought in the conflict. 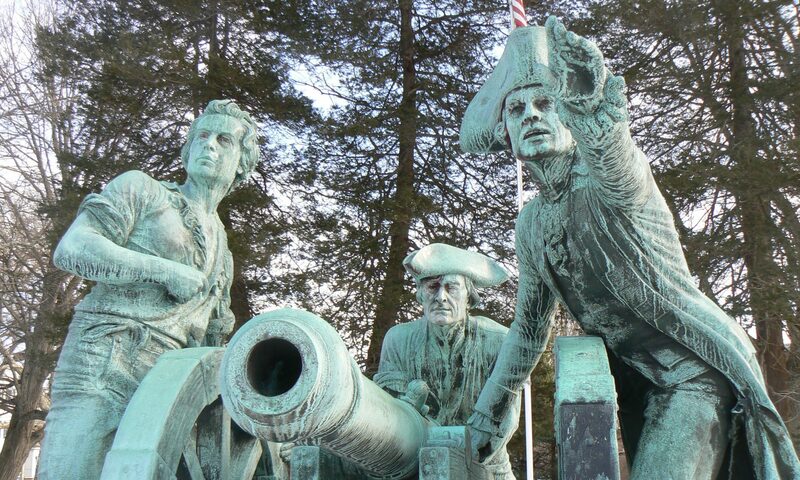 The front plaque also refers to a cannon “that surmounts this monument” being donated to the city in 1921 by the Republic of France, but a casual glance reveals a lack of cannons atop the monument. 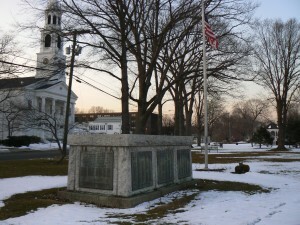 The French cannon, dating back to 1877, was removed from the monument in 1950, when the monument was moved from its original location on Belden Avenue outside the Norwalk Library. Between then and late last year, the cannon stood outside the local VFW post. 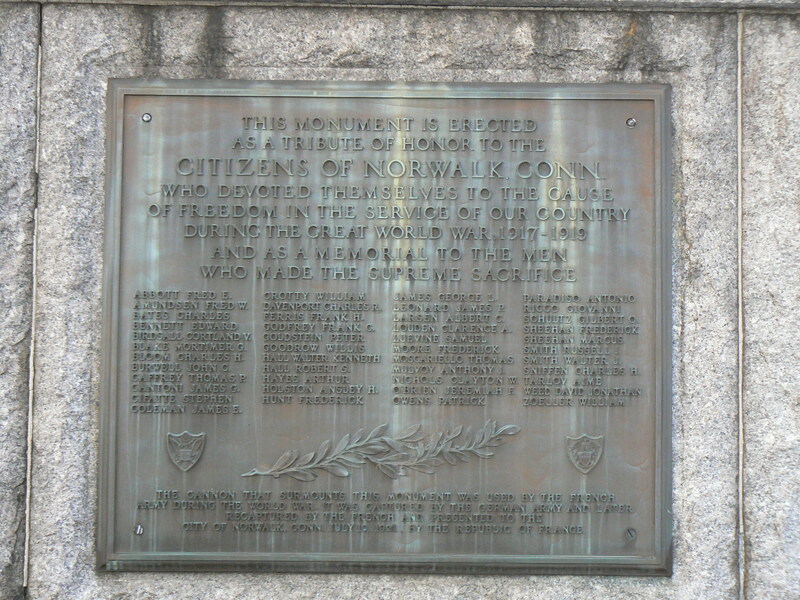 According to a Norwalk Hour article from last December, the cannon, which was captured by the Germans and recaptured by the French during the war, was moved into storage for restoration and reinstallation on the World War Monument.